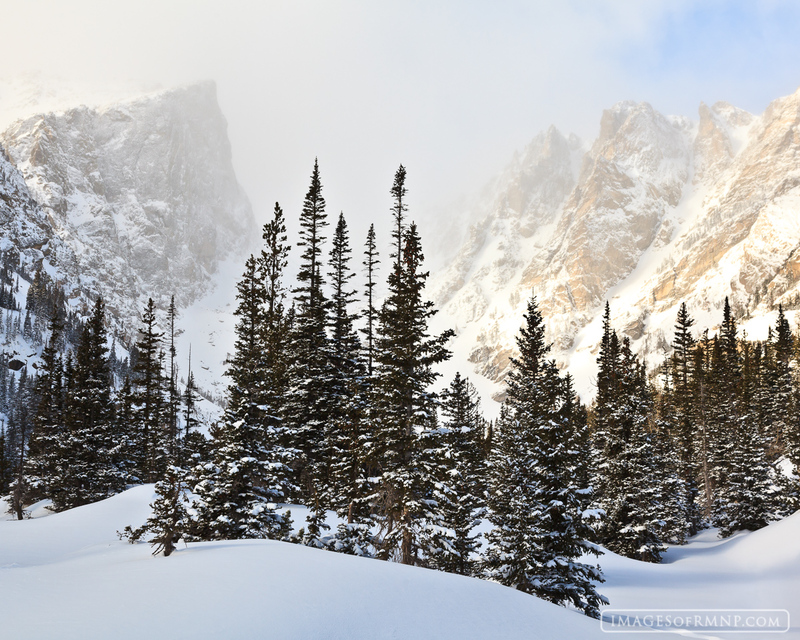 This is the typical winter view near Dream Lake. Hallett Peak and Flattop Mountain peek through the blowing clouds while deep snow covers the trees and rocks. Photo © copyright by Erik Stensland.